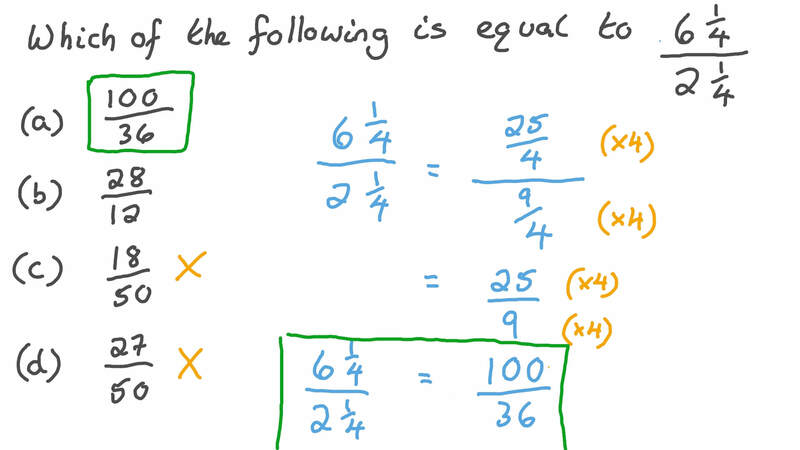 In this lesson, we will learn how to use division to simplify complex fractions. 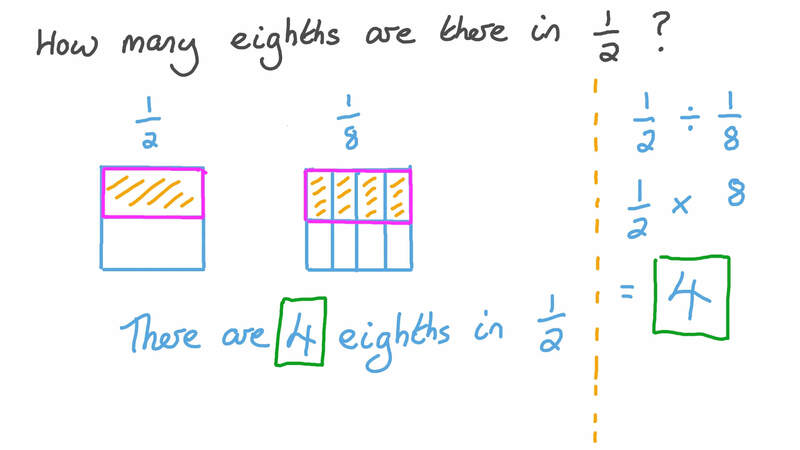 How many eighths are there in 1 2 ? Which of the following is equal to 6 2 1 4 1 4 ? The perimeter of a square piece of papers is 1 1 3 m. What is the length of the piece of paper? A piece of land of area 2 9 4 7 feddans is divided equally between a number of farmers. Given that each farmer takes 1 2 2 1 feddans, how many farmers are there? Farida bought gallons of ice cream to serve at her birthday party. 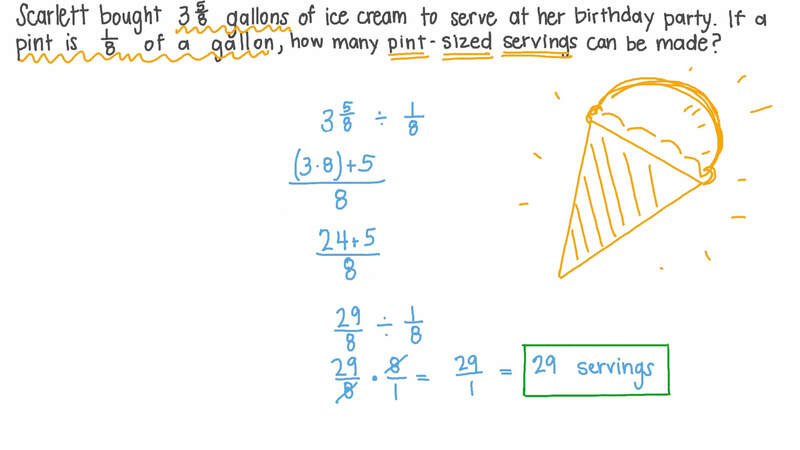 If a pint is of a gallon, how many pint-sized servings can be made? Find the number of books that can be placed on a shelf, given that each book has a thickness of 1 1 5 cm, and the shelf has a length of 2 2 5 cm. How many tenths are there in 1 2 ? Which of the following is equal to 2 5 2 3 2 3 ? Which of the following is equal to 2 5 1 4 1 2 ? Which of the following is equal to 1 3 1 2 1 2 ? A piece of land of area 2 5 5 1 1 feddans is divided equally between a number of farmers. Given that each farmer takes 1 3 1 1 feddans, how many farmers are there? Find the number of books that can be placed on a shelf, given that each book has a thickness of 3 1 4 cm, and the shelf has a length of 9 3 4 cm.